The birth of television broadcasting in New Orleans provided an outlet for the talents of many actors and actresses who, while not staff members of a television station, began to be well known for their appearances in TV commercials. These commercials created a demand for beautiful ladies to "carress" products from automobiles to refrigerators to vacuum cleaners. Men portrayed chefs, doctors, plumbers, and Santa Claus. One of the first model and talent agencies representing these freelance TV performers was the Star Model and Talent agency operated by Audrey Stark. One of Audrey's talented performers was Gail del Corral. Gail pioneered the art of "Mechanical Modeling" in the New Orleans area, making appearances as a "robot" or a "living manakin." She was one of the ten top models in the country in 1960. 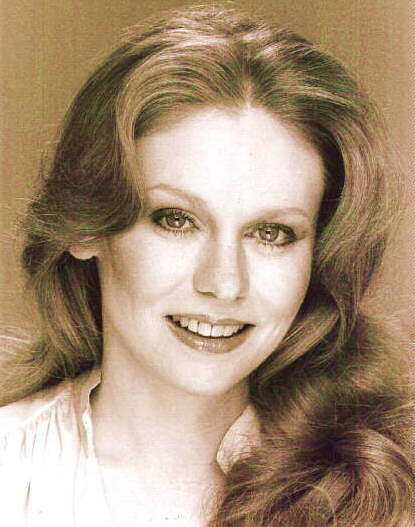 Gail was seen in TV commercials and also appeared frequently on WDSU-TV programs. The studio guests of the Ch.6 "Midday" program were often treated to Gail's performances. On the "Tonight With Mel (Leavitt)" show she demonstrated her talent of mechanical modeling as guest artists like comedian Red Skelton did their best to make her "break up" and loose her composure as a robot. Try as he might, Clem Kadiddlehopper, as well as other comedy greats, could not even make the lovely robot smile. Not satisfied with just local appearances, Gail also demonstrated her talent on several network TV shows. In later years, Gail became the owner of the del Corral Model and Talent agency. 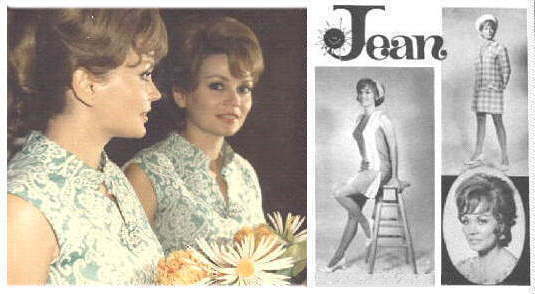 Jean was the first regularly scheduled "Weather Girl" While not a staff member of WWL-TV, she hosted the program "The Weather With Jean" As a freelance talent she performed in commercials made in both the Ch.4 and Ch.6 production faclities. Her TV commercial for WQXY-FM (Baton Rouge, LA), directed by her friend, Paul Yacich, won a national award as the best FM promotion of the year. 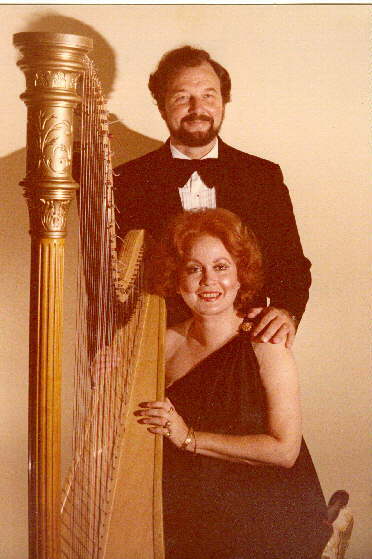 Jean is also an accomplished harpist She is shown, in the picture below with her husband, Charlie Matkin, formerly an announcer with WWL and WDSU. Music is an important part of their lives. 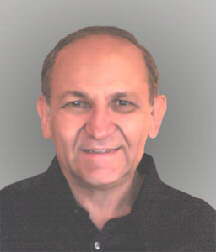 Charlie is a nationally known singer and recording artist. The talented couple became innkeepers in later years, owning and operating The Old World Inn on Prytania Street in New Orleans. 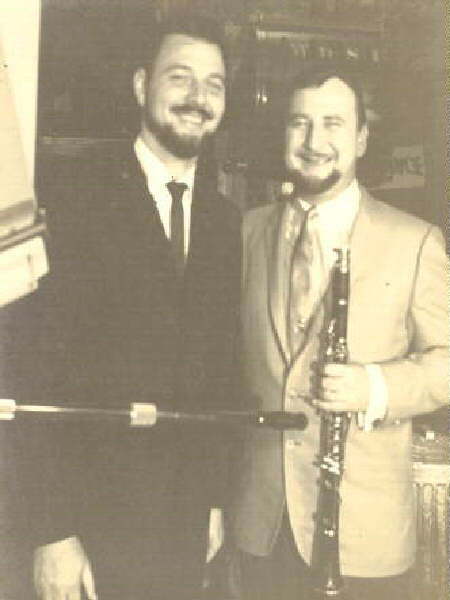 When Al Hirt and Pete Fountain were both appearing in Vieux Carre' night spots, "Jumbo" Hirt sometimes told his audience to go see "...that clarinet player from Warren Easton High School down the block" (everyone, of course, knows that Al was "...that trumpet player from Fortier High School!). 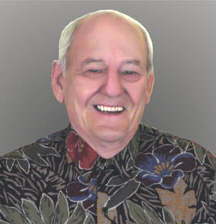 Pete Fountain, as well as making many musical appearances on local and national TV, also appeared in many TV commercials for real estate developments, race tracks and others. 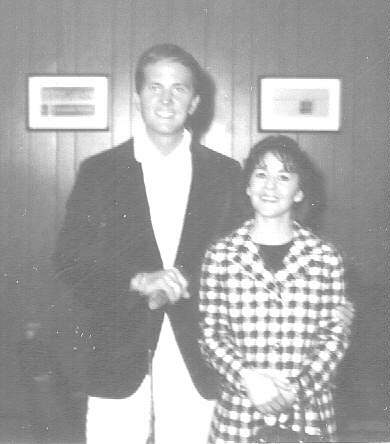 In one of the Real eatate spots, Pete appeared with Rita Yacich. In producing the spot, WDSU-TV director Irwin Poche' had a tough time getting it finished because Pete "cut up" so much he kept the studio crew laughing out loud. Miss Rita (see below) also had a tough time maintaining her composure for the camera. 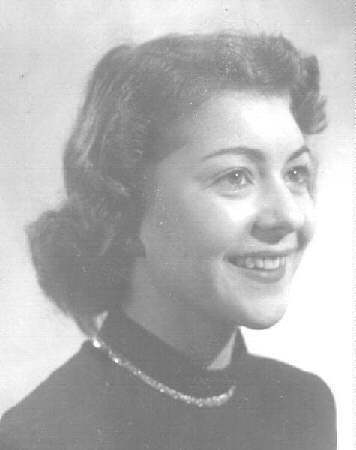 In 1952, soon after her return from Hawaii, where she lived for 2 years with her husband, Paul Yacich while he was stationed at Wahiawa (U. S. Naval Radio Station) and an employee of KULA in Honolulu, Rita began performing in Kirscman's Furniture Store TV commercials at the request of WDSU-TV Director Irwin F. Poche, Jr. At that time in TV history, many commercials were aired “live” If a spot was to run five times in a late movie presentation, the commercial was presented “live” five times. The advent of videotape eliminated that problem. Later Rita appeared in Whitney Bank in commercials written and produced by Jerry Romig and Al Shea. She was featured in Luzianne Tea commercials produced by David Snow and appeared in several real estate developement commercials wirh Pat Boone and Pete Fountain. She also did off camera narration spots and radio commercials. In later years, Rita and her three daughters, became part of the production team of "Morgus Presents" In the picture below, shot during a commercial session for "Diamondhead", Rita is shown with Pat Boone. Kenny was in constant demand both as an off-camera voice talent as well as on on-camera performer. It seemed that he was always either at the WDSU-TV studios or at the WWL-TV production facilities making some kind of radio or TV commercial. While some announcers and narrators claimed a definite style, Kenny pleased the various ad-agencies that hired him by performing in the style required by the project.Ken's flair for comedy was a wonderful asset. He enjoyed a long run as the TV spokesman for Security Savings and Loan of New Orleans. 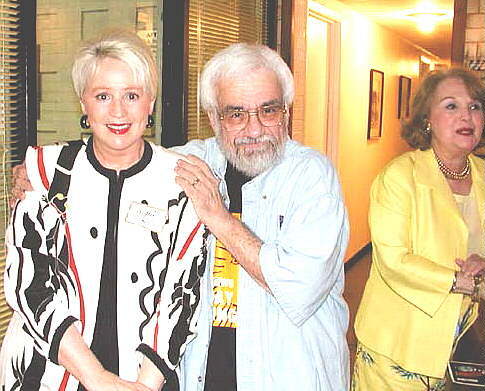 In the above picture, he is shown cavorting with Angela Hill (WWL-TV news anchor) on the left and Linda Mintz (former WWL-TV kiddie show hostess)on the right.Although Kenny did commercials for every thing under the sun, he never appeared in or voiced political commercials...except one time...and that was only because his long-time friend, Paul Yacich, was the director. Ken has been running his own full-time business for some years now, but still does a commercial once in a while. Veleka was another Star model who often performed for the WDSU-TV and WWL-TV cameras. Veleka auditioned at WDSU-TV for a role in a promotional spot to be videotaped at the studio. She got the gig and went on to be one of the top models in the U.S.
Click HERE to read Veleka's letter to Bob Walker's "New Orleans Radio & TV Shrine" describing her start in television performing. Veleka felt that she had to do theater to be a complete actress. She starred in theatrical productions in New York, Chicago, Hollywood, Kansas City, and her home town, New Orleans. Rosie was a "regular" in TV commercials produced in the Ch.4 and Ch.6 studios. She also "voiced" one of the characters (puppets) of the WDSU-TV "Mr. Bingle" programs. She was also a mainstay of the New Orleans theatre community. She appeared in several Broadway shows. Her best-known show was the Leonard Sillman production of "New Faces of 1952." She also did radio shows and was one of the Ford Agency models. She returned to her hometown, New Orleans, in 1954. One of her roles was in a TV commercial, produced at Ch6 and directed by Paul Yacich, in which she and, alas, an unknown (at this writing) male talent presented their version of Grant Wood's "American Gothic" (See the two pix below...Rosie's version first, then a portion of Wood's original painting as used in a magazine ad). The delightful comedy of Rosie Correy will be missed by all of her friends in the New Orleans broadcast and theater communities. 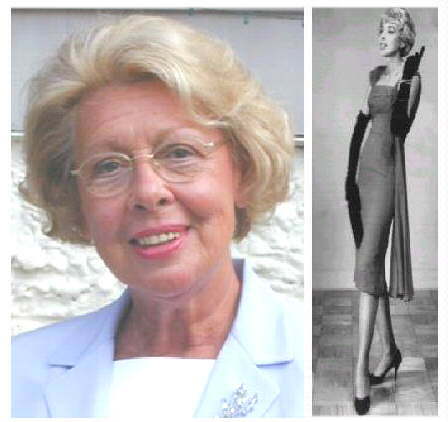 Rosemary Correy died, at age 79, October 24,2003. 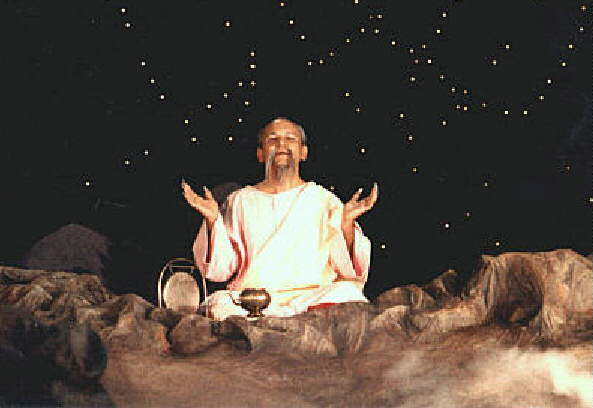 In the above picture, Guru Peter Gabb is shown in a scene from a TV promotional spot in which the wise man of the mountains extolls the virtues of the Louisiana Department of Natural Resources. The set was designed and built by Rita Yacich, Karen Yacich, Deirdre Yacich and Kristi Yacich. Want to guess who was the director?